Up to now there has been a suitable narrow gage railway for each model railway nominal size, partially even produced in large series, except for gage “Z”. But why not? On a scale of 1:220 a narrow gage railway of the size Zm has a gage width of 4,5 mm and is because of this a tremendous technical challenge, required that the Zm-narrow gage railway is working as well as all the other narrow gage systems. Before Marklin-engineers created the gage Z in 1972 they made technical and economic calculations with the result that the limit of economic production and operation is reached on a scale of 1:220 concerning the model railway. If you once have been occupied with gage Zm, you would confirm this result. 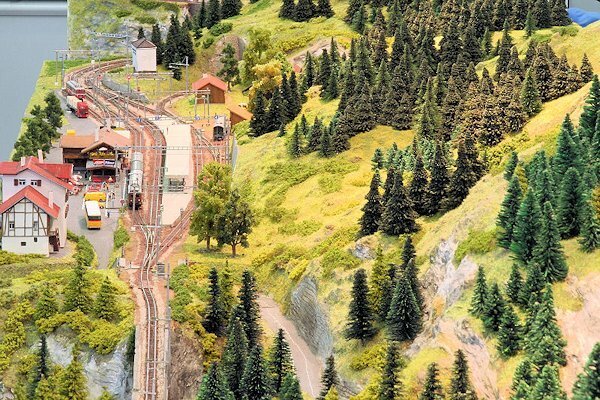 But in Germany there are some people being wild about model railways who are interested in gage Zm and acted accordingly in spite of the tremendous technical difficulties. More on this background can be found on the history pages.